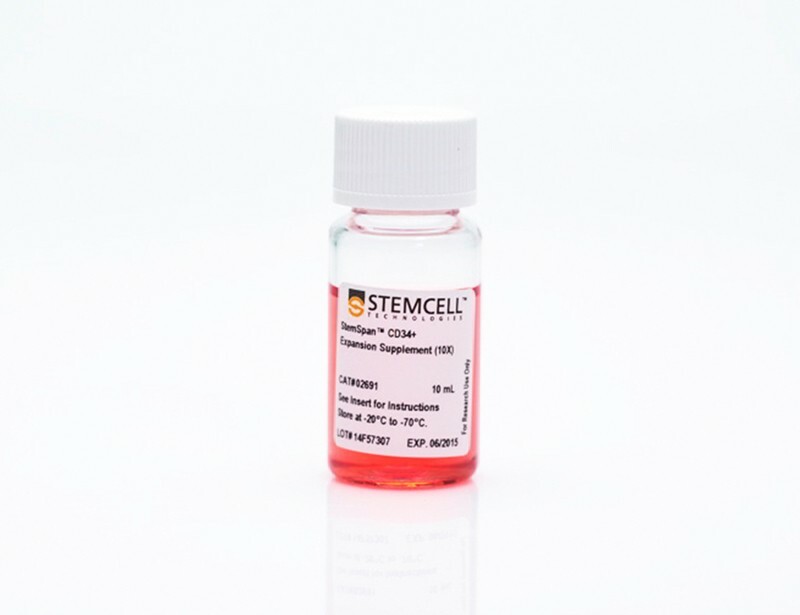 StemSpan™ CD34+ Expansion Supplement typically promotes ~40-fold expansion of total nucleated cells in 7-day liquid cultures of CD34+ human cord blood (CB) cells. 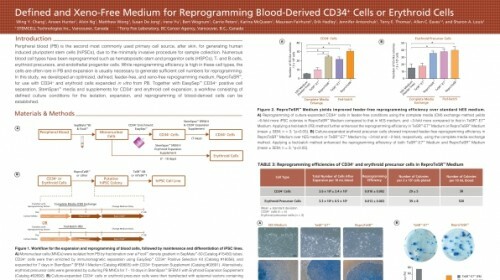 After one week, ~40% of the cultured cells express CD34, indicative of >10-fold expansion of input CD34+ CB cells. See data tab for more details. 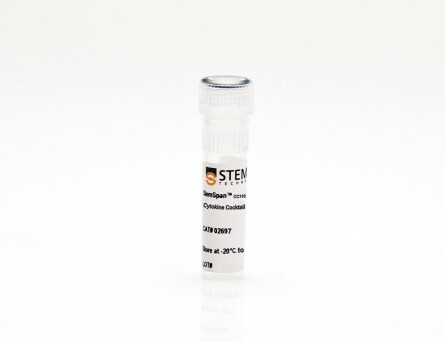 StemSpan™ CD34+ Expansion Supplement (10X) contains a combination of recombinant human cytokines (Flt3L, SCF, IL-3, IL-6 and TPO) and other additives formulated to selectively promote the expansion of CD34+ cells isolated from human CB and bone marrow (BM) samples. 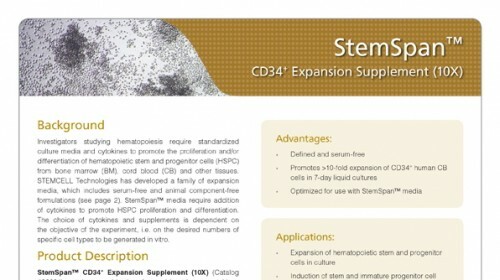 The CD34+ Expansion Supplement is intended for use in combination with StemSpan™ SFEM, SFEM II and -ACF serum-free expansion media, or any other media for culturing human hematopoietic cells. 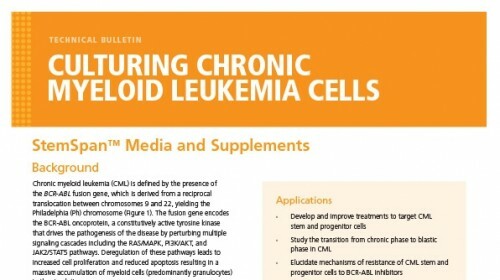 When added to serum-free medium, the CD34+ Expansion Supplement typically promotes ~40-fold expansion of total nucleated cells in 7-day liquid cultures of CD34+ human CB cells. 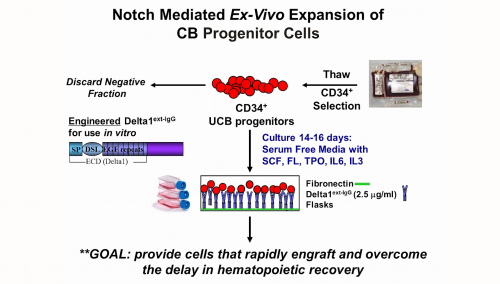 After one week, ~40% of the cultured cells express CD34, indicative of 10-fold expansion of input CD34+ CB cells. 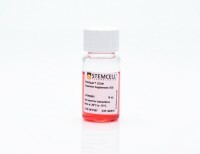 This supplement stimulates greater CD34+ cell expansion when compared to StemSpan™ CC100 and CC110. See data tab for more details. 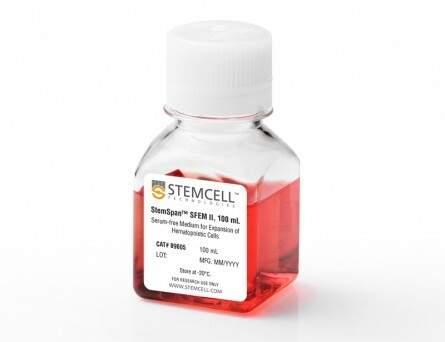 • Formulated to selectively expand and produce large numbers of human CD34+ hematopoietic cells in liquid cultures initiated with CD34+ CB or BM cells. • Optimized for use with StemSpan™ media. 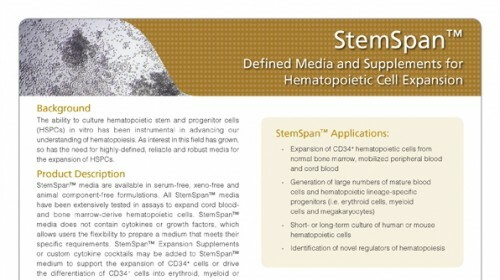 When combined with StemSpan™ SFEM II in particular, supports at least 50% higher expansion of CD34+ human CB cells when compared to other serum-free media on the market. • Supplied as a 10X concentrate. 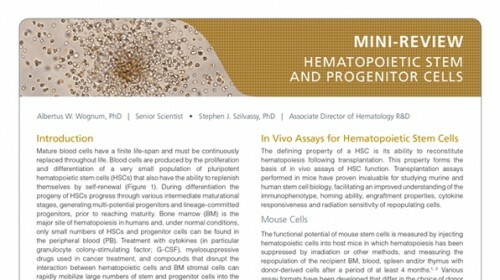 After thawing and mixing, the tube contents can be added directly to any hematopoietic cell expansion medium of choice. 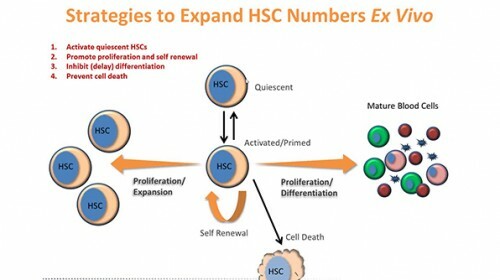 Shown are the percent CD34+ cells, fold expansion of total nucleated cells (TNC) and CD34+ cells, and numbers of colony-forming units (CFU) produced per input CD34+ cell after 7 days of hsc expansion culture of enriched CD34+ cells from six independent cord blood (CB) samples. *95% confidence limits, the range within which 95% of the results will typically fall. 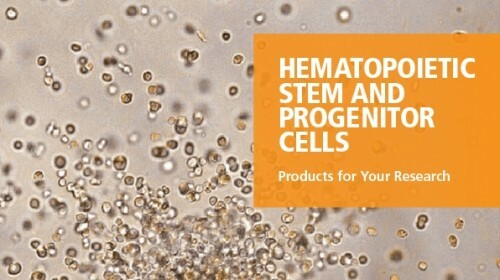 Average expansion of (A) total nucleated cells (TNC), (B) CD34+ cells and (C) colony-forming units (CFU), normalized relative to the values obtained in StemSpan™ SFEM (grey bars) after culturing purified hematopoietic CD34+ cord blood cells (n=6) for 7 days in StemSpan™ SFEM, SFEM II (gold bars) or ACF (orange bars) media containing CD34+ Expansion Supplement. Vertical lines indicate 95% confidence limits, the range within which 95% of results will typically fall. 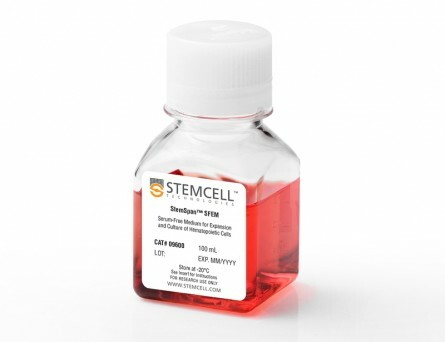 Cell yields in StemSpan™ SFEM II were on average ~60% higher than in StemSpan™ SFEM and StemSpan™ ACF. *p<0.001, #p<0.05 (paired t-test, n=6 in A and B, n=4 in C).